What does the name "Encounter" mean? Encounter (abbreviated form "EN") in translation from English - " a casual meeting ", " the first experience ", " unexpected collision ". Still the word Encounter is translated in the game terms as "Combat" – that is how the game is called. Thanks to this idea the whole industry of night games appeared worldwide. All games of the project are united with idea about determination to accept a call of destiny: entering game, we are ready for the unknown, unexpected, unpredictable. We are ready to solve any problems, tasks and to survive the most extreme situation with advantage, not getting frightened with complexities and not having receded from the purpose. Psychologists have recognized, that EN-games remind the practical psychological trainings directed on explosive development of personality... Encounter as the international network of active city games is an external environment. But it is more, than games. It is more, than not boring weekends. It is more, than community of people with the certain interests... It is the whole world! We, founders of Encounter project, perceive the project, first of all as a social network for adequate, susceptible and people not indifferent to life. Who plays EN-games? What unites these people? Insatiable desire to live – unites all these people. At first sight it seems, that each alive organism on our planet sufficiently is allocated by this desire... But feel a difference between " I wish to survive! " And " I wish to live to the full extent!!! ". Often participants are called "adrenalin junkies", equating them to fans of extreme kinds of sports is not absolutely exact comparison because in EN games the intellectual component has great value: it is not enough to be strong, courageous ,it is necessary still to be clever and creative. And during the time of game it is possible to call the players adrenalin junkies: they approach the edge, go into extremes... To find out sides of possibility, it is necessary to cross the line. The extreme itself is the line, border, limit. Behind the limit, behind red line - Encounter - a combat with unknown. EN-games is an alternative... To what? On the one hand, it is alternative to boring weekends: to clubs, discos, bars... All this activity sooner or later gets boring. Then people opens for themselves EN - environment where everyone can prove that he is better, where everyone can find himself a spot, where everyone is the hero. EN is an alternative to habitual outlook which means that everything in life happens as it is meant to happen and it is just necessary to sit and wait for the glory. Participation in games helps to come to simple, but to very important conclusion: you one are responsible for what happens in your life. Only YOU are the architect of your life and nobody else. Each game is a small life. In each game there are targets, tasks, ways of solving them... The same way as it is in real life. Some people need to live the whole life to understand, whether they have chosen the correct way for achieving the purposes they have chosen. In the game the answer to this question becomes obvious by the morning after the game. If you waited, refused from the responsibility and did not accept courageous and risky decisions in game, as well as in a life, you cannot win. Game is a model of a life. If the person is aspired to victory (to achieve the targets) it is better to train on games, than on real lives: it is possible to play set of different games, but there is only one real life. How did all the project begin? There is a very detailed description on the page " History of the project ". What is your image of the future? What are You trying to achieve? It is very difficult to make the same recipe of happiness for each person on the Earth. But there are things which inevitably help with the search of own recipe of the happiness: freedom, responsibility, beauty, strength, intelligence. We are deeply convinced, that to find happiness, each person should get rid first of all that prevents him from that. We want, that people got rid of fears and phobias - our slogan: " It is silly to be afraid because there is nothing more terribly than the fear itself! " We want, people not to sit at home and wait for some miracle to happen - ours slogan: " Не that seeks never misses "
We want, that people were placed with the prejudices - our slogan: " Impossible is possible! " These are core ideas for the game, of course there are more, but these are the most important ones. Our purpose - to help people to release reasons that prevent them from finding the recipe of the happiness. In the future we see ourselves more free, more responsible, more safe, more beautiful, more strong, more clever. We are people that accept a call of destiny, we are the future of this planet. Your organization reminds me sect. I am right? If it is possible to recognize people who trust in themselves as sectarians, then yes - we are one big sect. 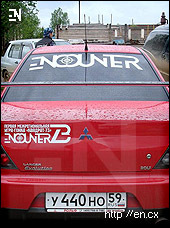 Is "Encounter" a registered trade mark? 41 Jeux d'argent, exploitation de clubs de jeux d'ordinateurs, services de jeu proposés en ligne (à partir d'un réseau informatique) (game service through an information network).